In GIS, i.e. 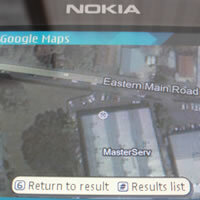 developing or running a GIS, the focus is most often on the hardware or software. One or both is often expensive, large, complicated ... and therefore creates our sense of achievement when we get them. The current iPhone/ iOS6 debacle illustrates that in any information system the DATA are of equal or greater value. (Surely Apple® makes great hardware and software? So the problem can't be that). And this is not to riducule TomTom®, as the provision of a global dataset is a mammoth task. It is to highlight the lesson that natural resources managers, disaster response organisations, etc., that are buying or running a GIS, should stay focused being able to create decent quality, usable data for solving their real world problems.